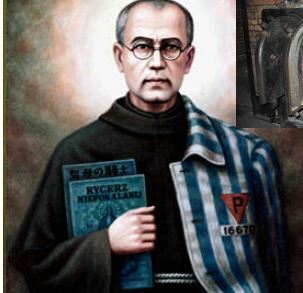 Maxmilian Kolbe, or Raymond as he was called when baptized, was born into a divided Poland. As had happened before and since, poor Poland, unfortunately located, had been a battleground, and the two powers, Russia and Austria, took what they wanted, leaving nothing for Poland itself. 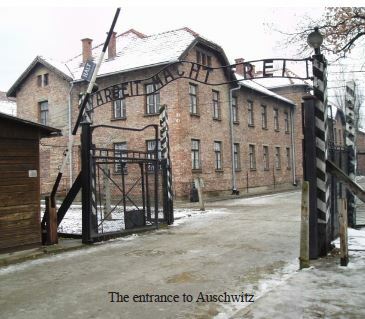 But to a Pole, it was and always would be Poland. 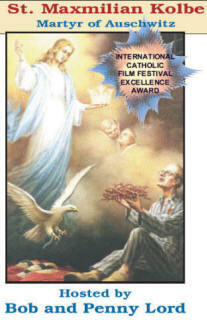 God answered Maria’s prayers and she married Jules Kolbe, a fervent Catholic, everything she had prayed for. In addition, he was a leader in the Third Order Franciscans! The young couple started a workshop in their one-room flat. In this all-purpose living, sleeping, working, praying room (with an altar in the middle of the room), a baby destined to become a Saint, Raymond (later, Father Maxmilian) was born on January 8, 1894. His brother Francis was the first to be born, on July 25, 1892, then Raymond, and then a third son Joseph, and yet another child Valentine, who died in infancy. The living quarters became too small for the growing family, and so they moved to a nearby town where they not only got a larger home, they opened a store! You can see the hard-working, progressive foundation upon which God would build the man Father Maxmilian. Even as a boy, Father Kolbe was known as gentle and kind; so much so, they nicknamed him “Marmalade.” His mother later said of her son, he was always quick in obeying, the most obedient of all her sons. He kept their home spotlessly clean while his parents worked, never complaining. He was the first to bring a switch, to be punished with, when he had been involved in some harmless prank. His parents not only stressed the spiritual, praying and going to Mass together, but the physical. Their father toughened the boys by bringing them into the snow covered yard to play barefoot. Sounds a little extreme? This would help and prepare Father Maxmilian for his later years, and what he would have to face. 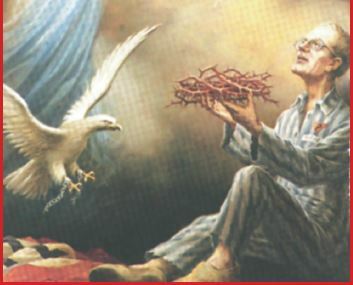 You are currently browsing the archives for the St. Maxmilian Kolbe category.